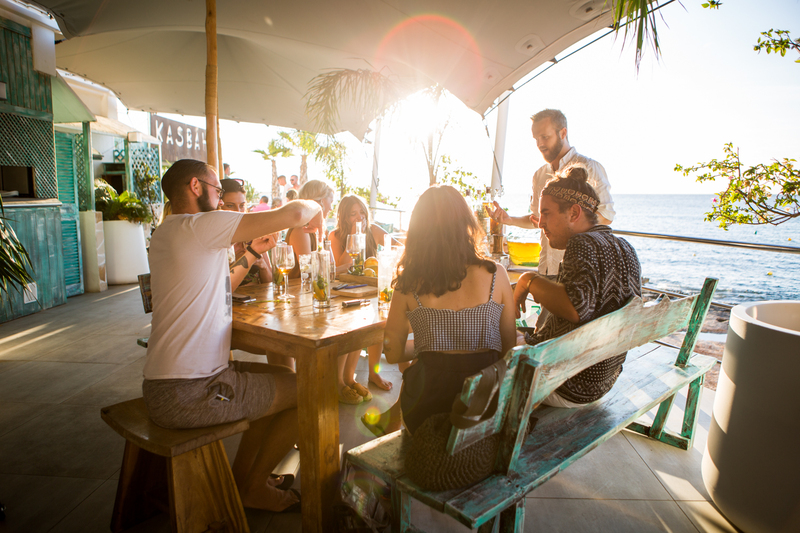 Although Ibiza is renowned for being the ultimate party destination in Europe, if not the world, with some of the best clubs and attractions for party animals and thrill seekers alike, Ibiza is also the ideal spot for peaceful retreats, spectacular scenic activities and a collection of cultural wonders to explore, like, Hierbas! 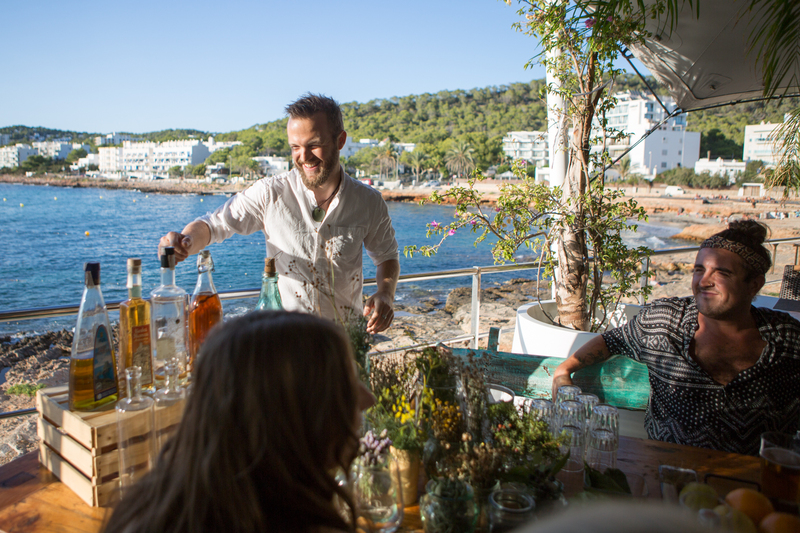 Now I know most of you who have visited Ibiza will know the beverage from visiting local restaurants and being served the shot as a favour at the end of your meal, and your wondering how a simple local spirit can be considered a cultural wonder! 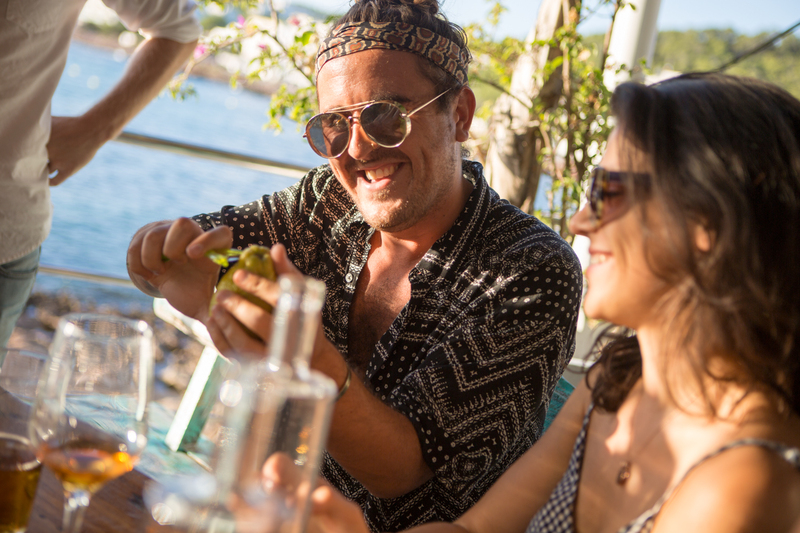 Well continue reading and find out how Hierbas, Ibiza’s one and only traditional liquor solely produced on the teeny tiny and pretty damn magical white isle, fits into the “cultural wonder” category! 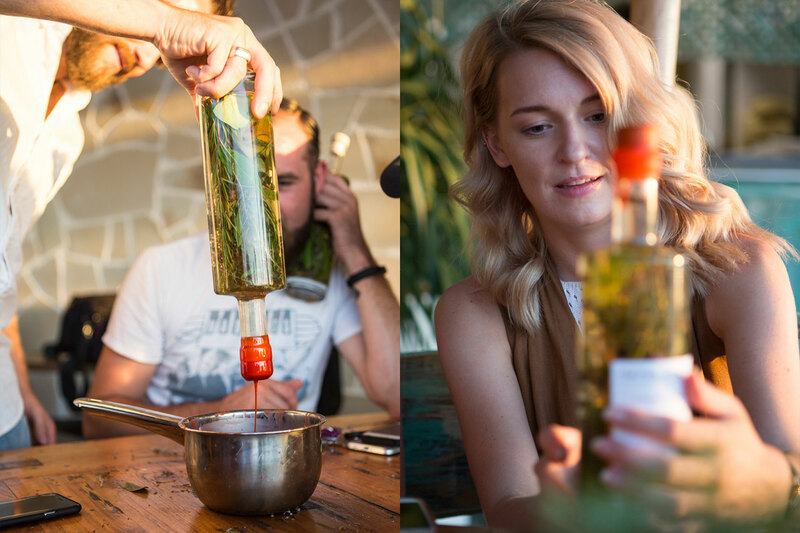 Well guess what, now with big ol thanks to The Drink Workshop you can get down and dirty (and a little bit drunk) at your very own ‘Hierbas Making Class’ over at Kasbah, San Antonio! 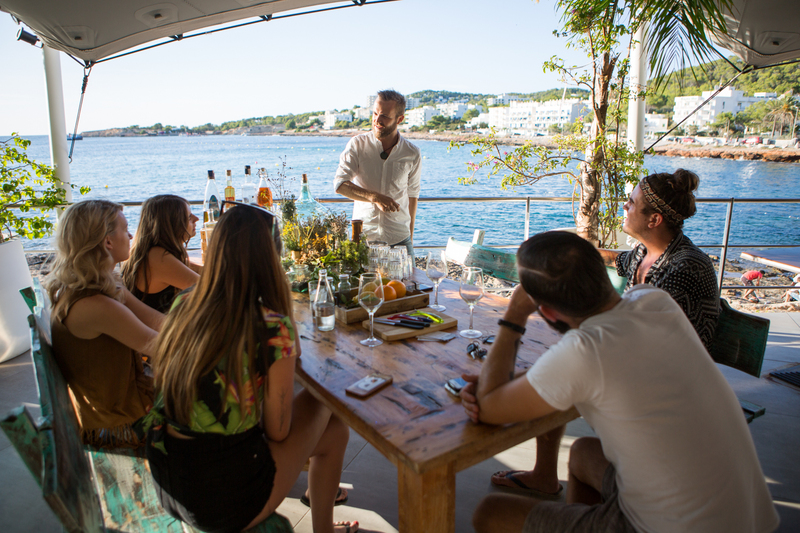 It’s without a doubt the perfect experience to get your friends and family together to learn how to make your very own Hierbas whilst witnessing one of Ibiza’s famous west coast sunsets! So of course, we just had to go and check it out! 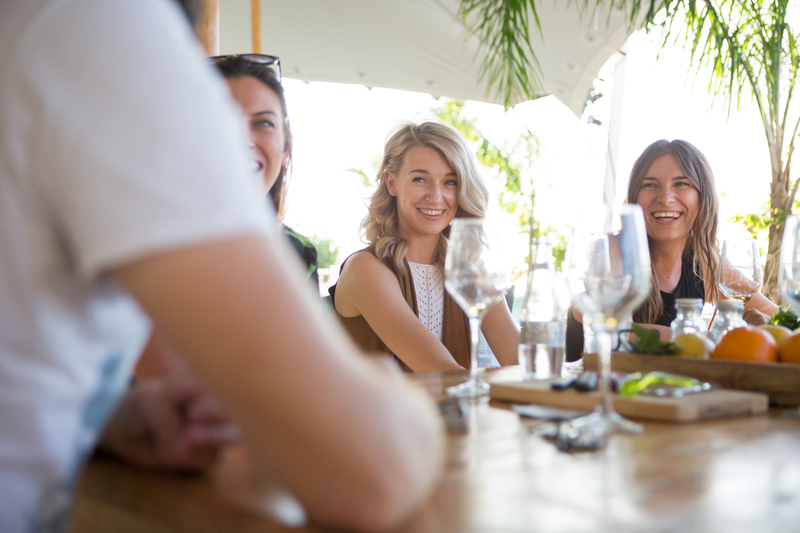 Here’s what our Events & Marketing team got up to when we were let out of the office for the day! 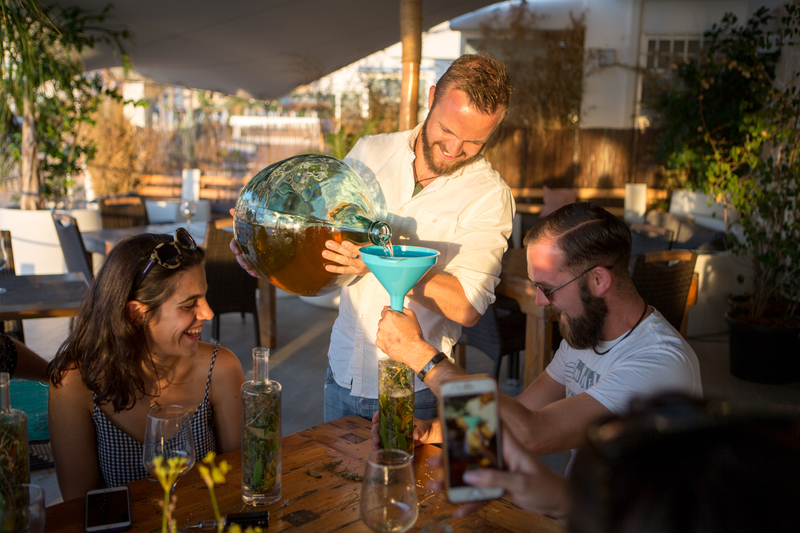 Rocking up to Kasbah in San Antonio we met Philip Thomas, the founder of The Drinks Workshop who was surrounded by an array of beautifully crafted bottles full of every herb imaginable. Introducing himself, we learned how, originally from New Zealand, this was in fact Philip’s ninth year on the island! 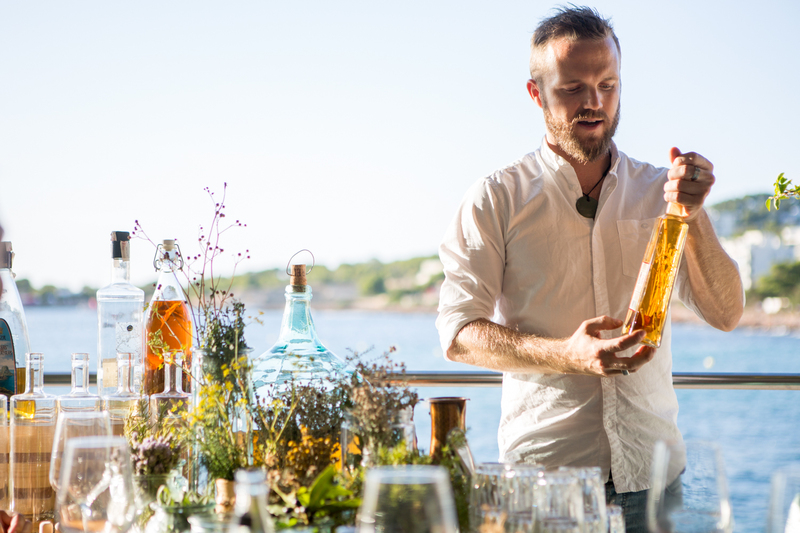 After many years travelling the world as a bartender, Phil discovered a passion for how different kinds of alcohol are made, inspiring him to create his own company The Drinks Workshop. 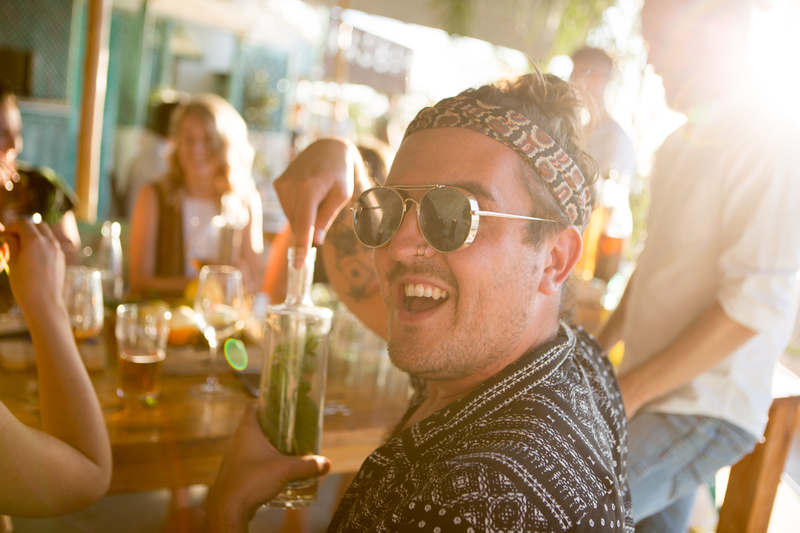 Phil is now the head alchemist and produces not only his own Hierbas but also likes to experiment with Gin, Brandy, Vodka and even has his own brand of Tonic water! 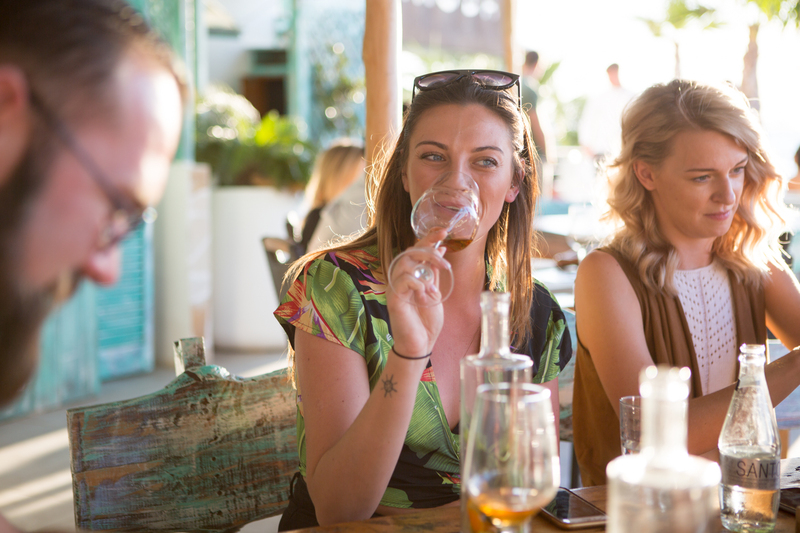 So, what exactly is Hierbas? Alright, so let’s get stuck in! 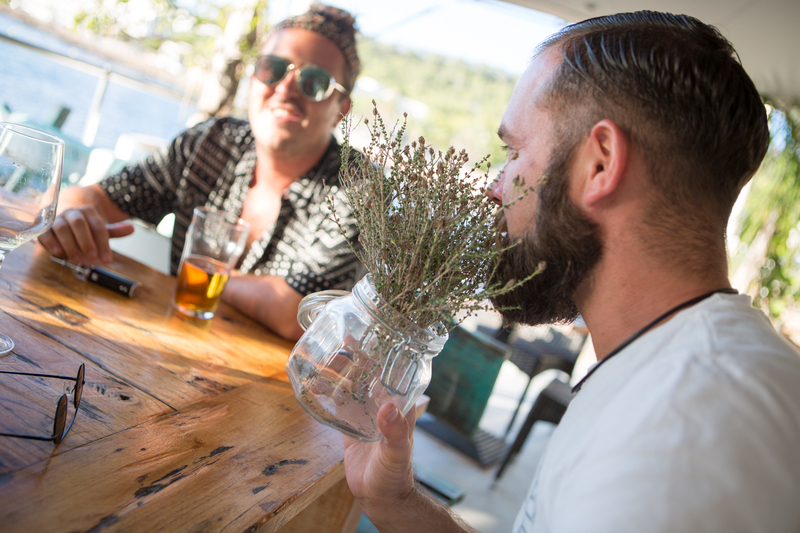 Phil started by introducing us to several different kinds of Hierbas made on the island. 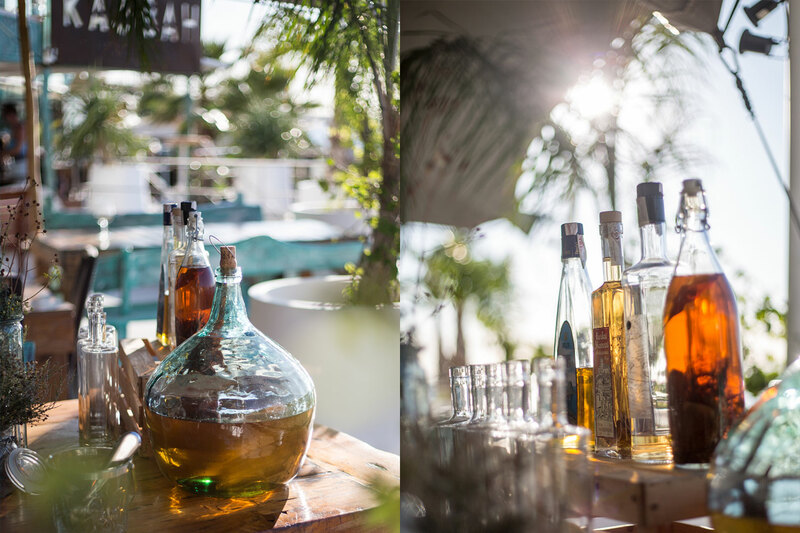 From the familiar and very sweet ‘Hierbas Mari Mayans’ through to the light and subtle ‘Licores Anisetas’. 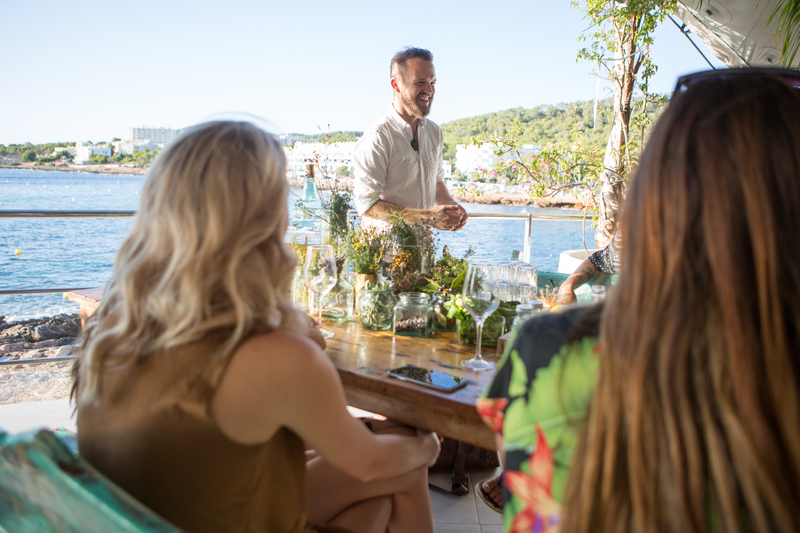 When I say introducing, we all made it through 4 LARGE glasses of straight Hierbas, which would have brought tears to even the strongest Ibicencans eyes (don’t quote me on that) Result! 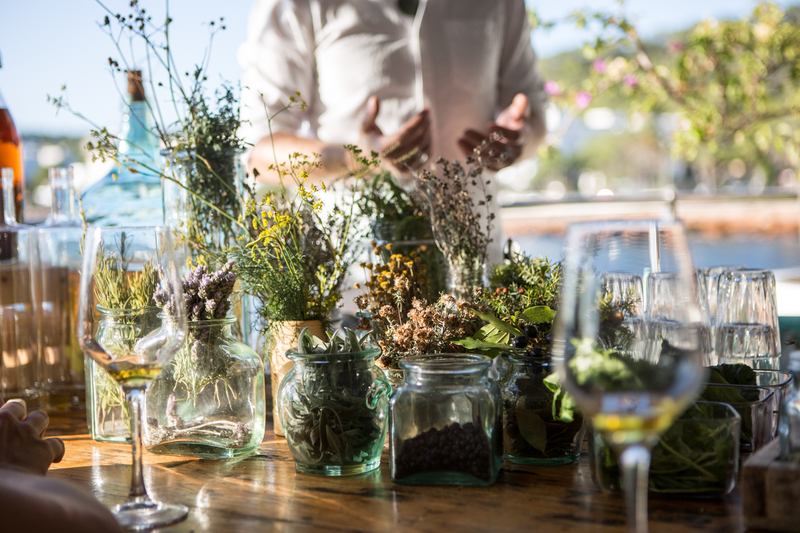 Hierbas consists mainly of anis made predominately from green aniseed seeds giving a liquorice flavour that is of an acquired taste to say the least. 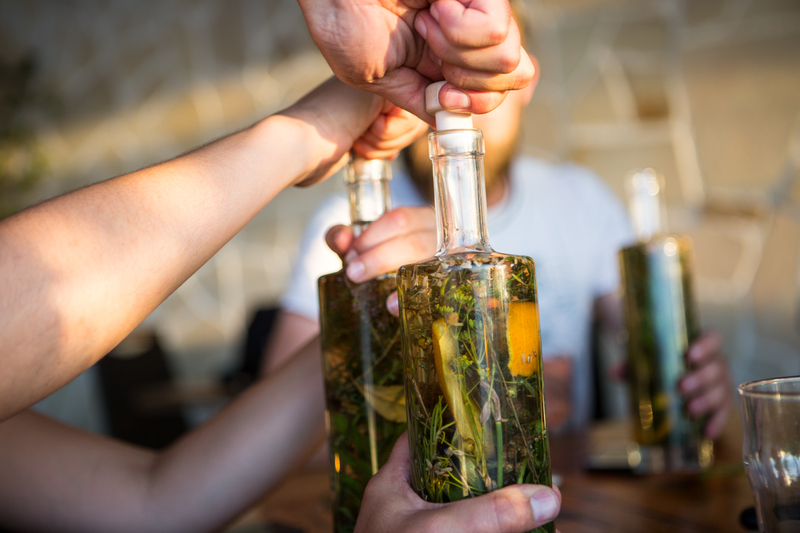 Phil produces his very own anise out of vodka, fennel and sugar, which he brought with him to the class in a beautiful, colossal vase (aka a demijohn)! 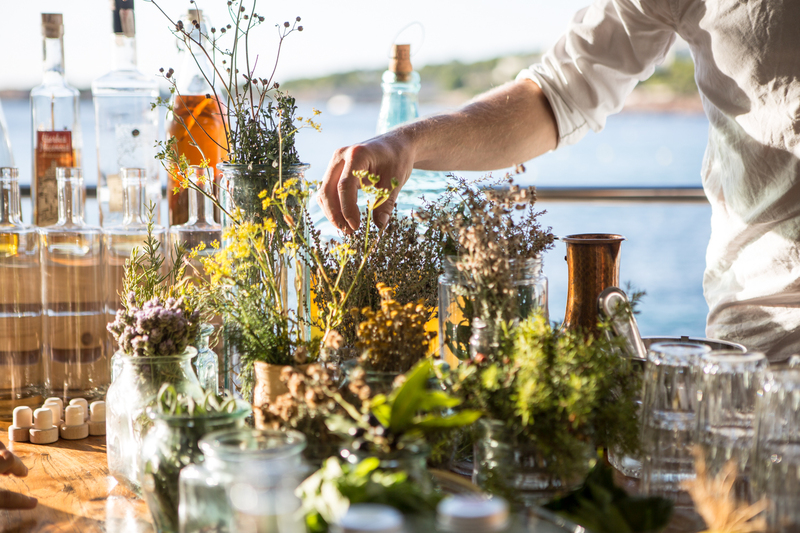 Various different herbs grown on the White Isle are then added including Lemon Vebena, Chamomile, Sage, Rosemary, Rue, Lavender, Juniper (Gin berries), Thyme, Dried & Fresh Bay leaves, Helichrysum stoechas, fennel seeds & flowers, orange & lemon leafs and mint. All of which Phil has picked himself while venturing the fields of the island. 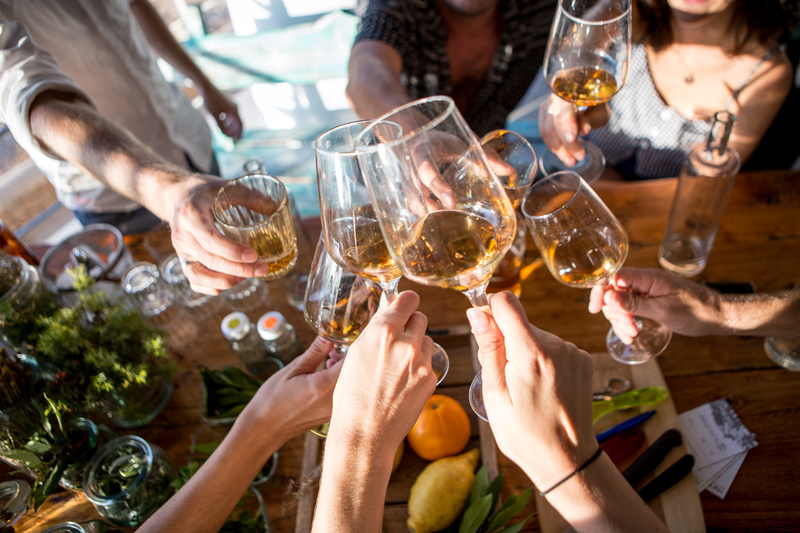 An alcoholic beverage would usually be pretty far down on my list as a remedy to an ailment or sickness, we were pretty surprised to find out that these concoctions have actually been scientifically proven to carry health benefits! 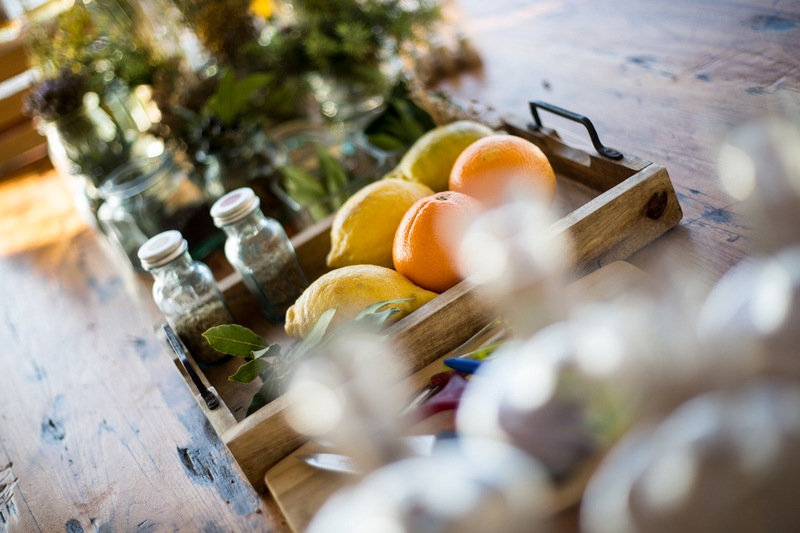 Boasting medicinal properties that claim to aid digestion and cure all sorts of illness’s from headaches, stomach problems, fevers and sickness! 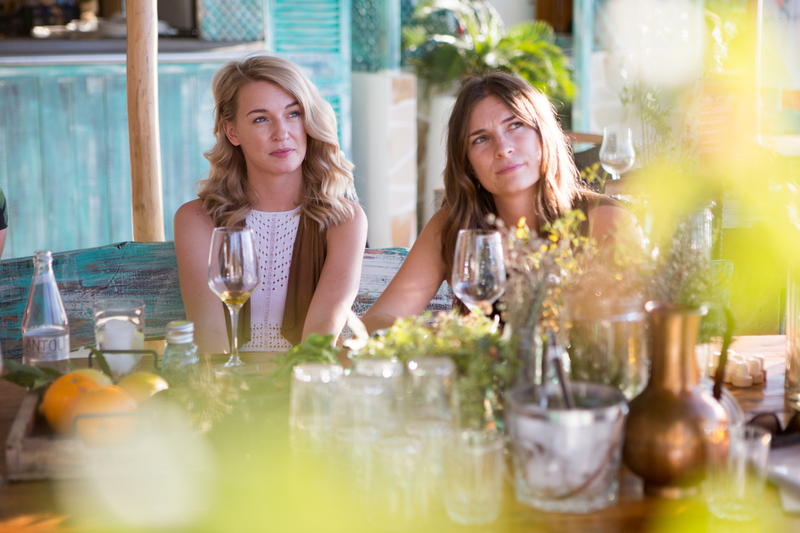 As if we really needed another excuse to be drinking alcohol! After some rather insightful education on the heritage beverage, which included how Hierbas was first founded by the locals who would drink it to stay healthy and also how now Hierbas Ibicencas is protected by law! It has a protected geographical status which came into effect back in 1997 so if you want to call your product Hierbas ‘Ibicencas’ you would have to register as a manufacturer with the local government. 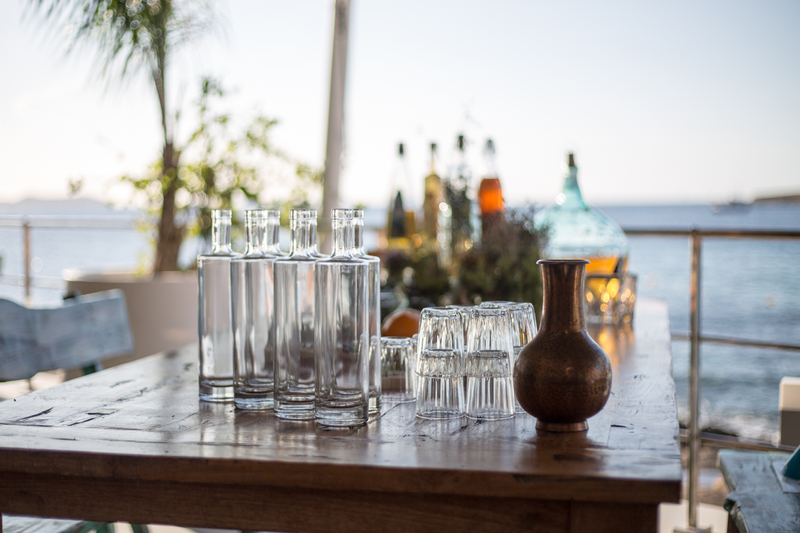 There are certain rules that apply, but the most important one is that the Hierbas has to be made in Ibiza. 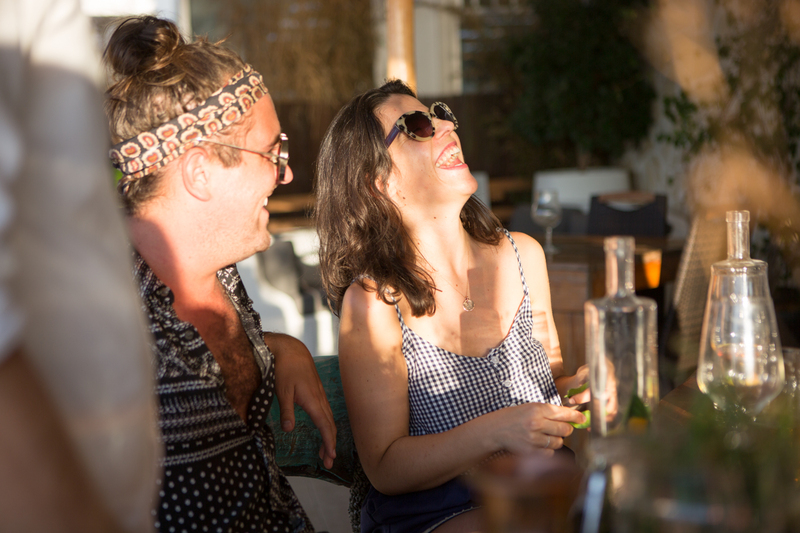 This helps protect the genuine products made in Ibiza and helps ensure a high standard is met! Anyway’s now back to the good stuff! Next, along with Phil’s guidance it was time to create our own! 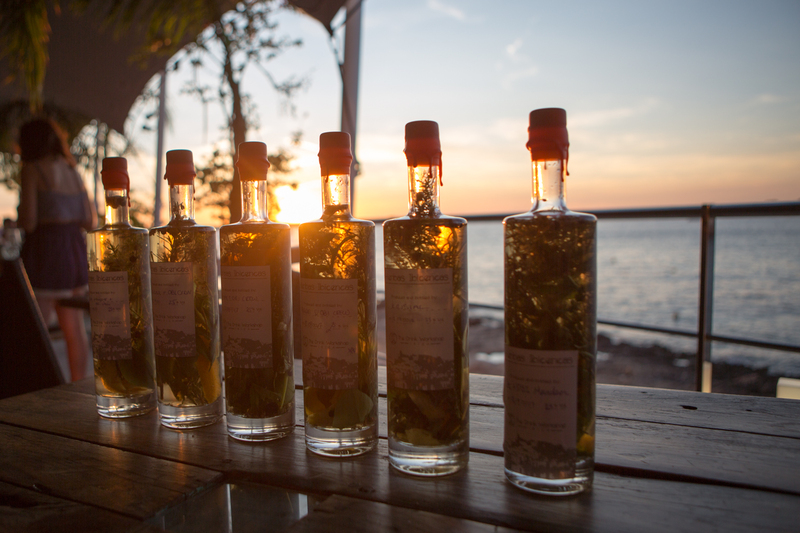 We were all given a tall, glass bottle which we were then to fill with herbs to our hearts content. 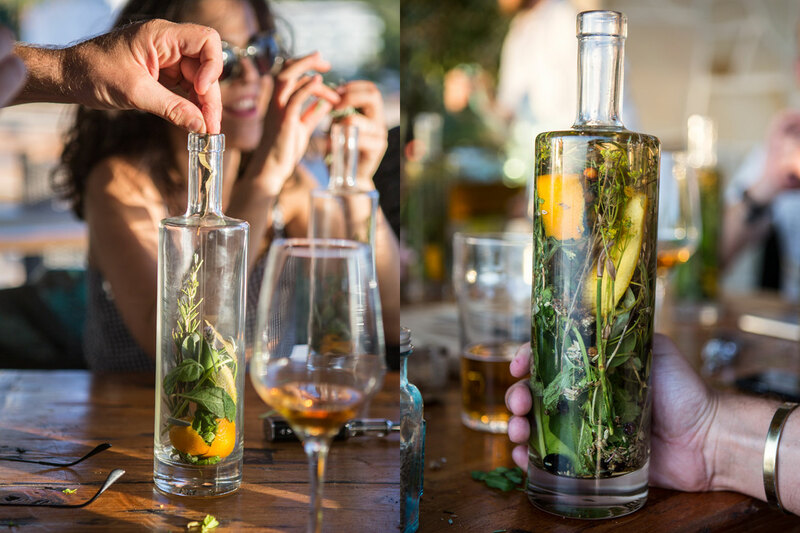 As we dropped more and more ingredients through the narrow neck of the bottle the herbs became a visual masterpiece as they intertwined. Then, with Phil’s help (because lets face it if any of us office lot attempted to pick that vase up with our measly arms it would’ve been a complete disaster) poured the anise in from the giant vase I mentioned earlier. We then wedged a cork closure into the top to secure the bottle. To top it off we then dipped the head of the bottle into a cauldron of hot red wax which then dripped down in various directions, setting on the bottle and leaving a beautiful finish! 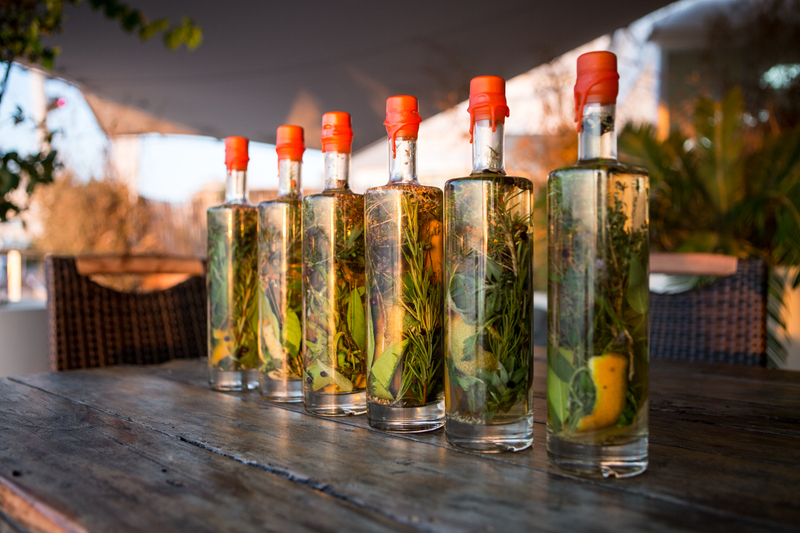 Safe to say we were all pretty stocked about our very own Hierbas to take home with us and even more excited about opening them in the months to come as the true trick to making the perfect Hierbas is allowing enough time for the botanical herbs to infuse the anise which is anything between 2-4months. We’ve even put a date in the diary for when we will all come together to crack them open! 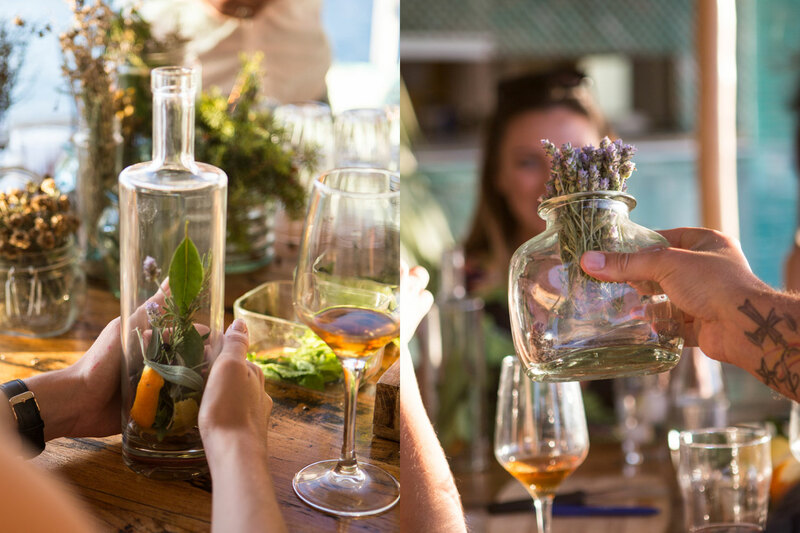 So what did we learn about Hierbas? 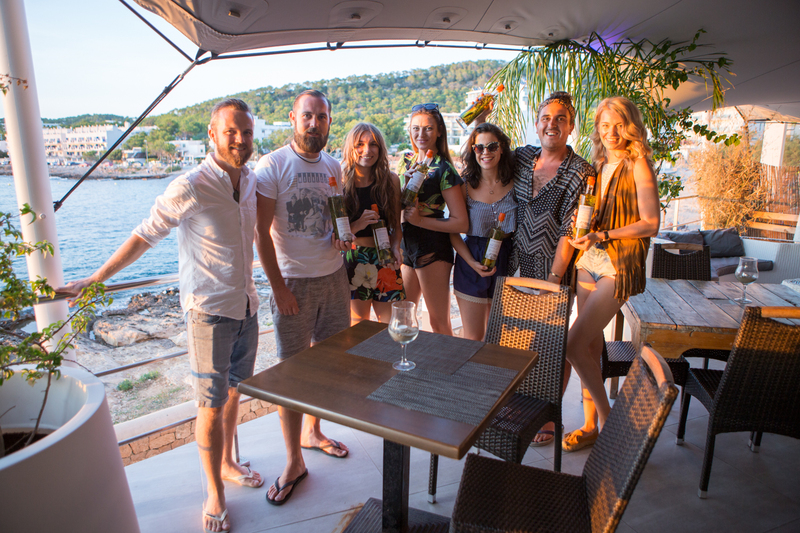 So there you have it, we’d like to give Phil and The Drinks Workshop a huge thank you for giving us an incredibly cultured experience that is undoubtedly (although a little hazy) one to remember! 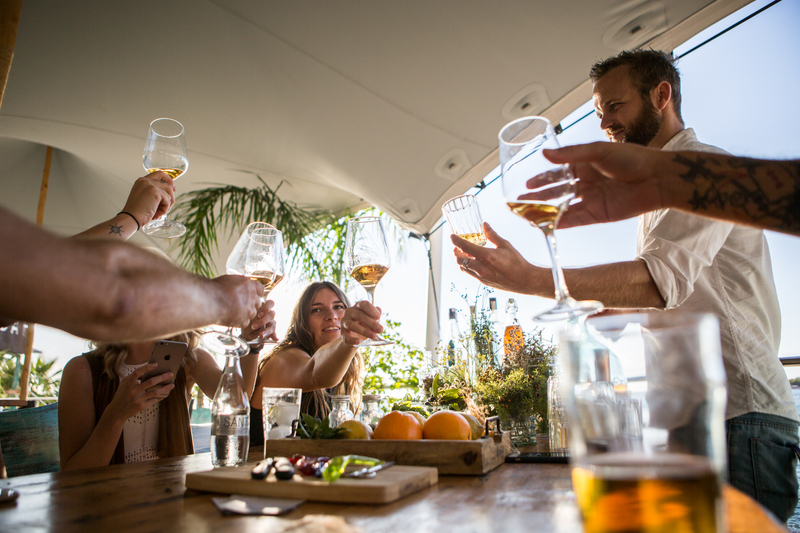 Be sure to check out The Drink Workshop‘s website and to follow their social platforms for details on their next Hierbas Workshop! We couldn’t recommend it highly enough!